The census which is held every ten years is something that pits a lot of different values against one another. It is not something that tends to go by without fanfare. Rather, competing ideas and values tend to rule the day. As such, it is not surprising that even liberal individuals and the LGBT community are not sure how to react to news out that says that the Census will not ask takers if they are part of the LGBTQ community. At first it was believed that this was something that would be on the 2020 Census, but it has since been reported that the question will not be on their after all. This has sparked the outrage of certain liberal celebrities such as Sarah Silverman. She tweeted about wanting to punch a pillow after hearing the news that the community would not be counted after all says The Federalist. 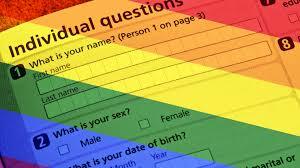 The question is, should liberals actually want to have LGBTQ individuals counted on the census? There is a case to be made that not having individuals identify themselves as LBGTQ may be better for them in general. Having to answer a question like that reinforced the idea that LBGTQ people are different and separate from the rest of society. That is not a place that anyone wants to put this community, not the least of which is the community itself. 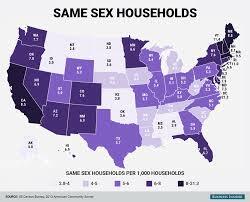 Not every single person in the LGBTQ community is married or in a relationship of course. There are others who may not define themselves as being a part of this community even though others do. That could make for wildly varied census results. While it is true that the census is big for determining a lot of things such as the amount of resources that go to one area of the country or another, that does not mean that everyone should be supporting LGBTQ individuals getting counted in the same way. There are definitely drawbacks to being part of the count. It is important that all prospectives on this are recognized and considered. After all, we all have to find ways to get along and work towards our common goals. It is easy to go to the outrage machine right away and talk about how terrible it is that the LGBTQ community is not being counted in this latest census in any direct way, there are more layers to this situation than first meet the eye.